Related materials on LEARN page, and components test on WIKI page. Confused by various types of drone and have no idea which to choose? Don’t worry! 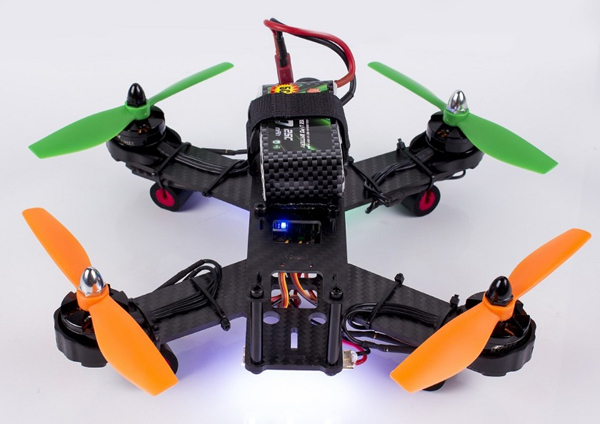 Here comes an amazing one tailored for the hobbyists for FPV flying: SF210 developed by SunFounder. More details will be elaborated below including the components and assembly. Let's start the fantastic flight journey! I bet you can’t wait any longer to know more about it! Now follow me to explore! So many components and you must be dazzled! Don’t worry - among all the “troublesome” components, here we will focus on the vital ones to elaborate in details to ease your burden! 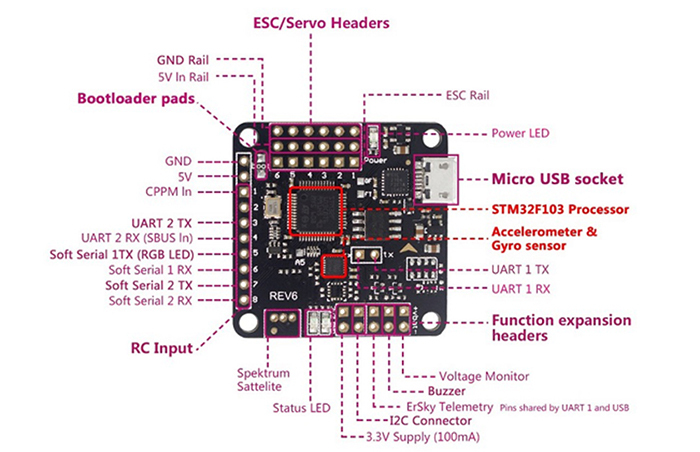 The core of the aircraft that runs the Nazeflight32 developed based on Naze32 (the present most popular flight controller and one of the mainstream flight controllers for multicopter racing). Supports: low voltage alarm / LED status indicating / lost model alert. 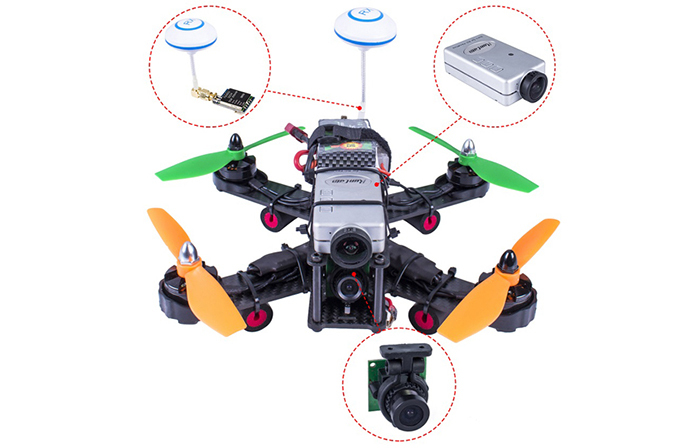 It's perfect whether you are doing FPV contest or practicing stunt flying and completely compatible with QAV210. 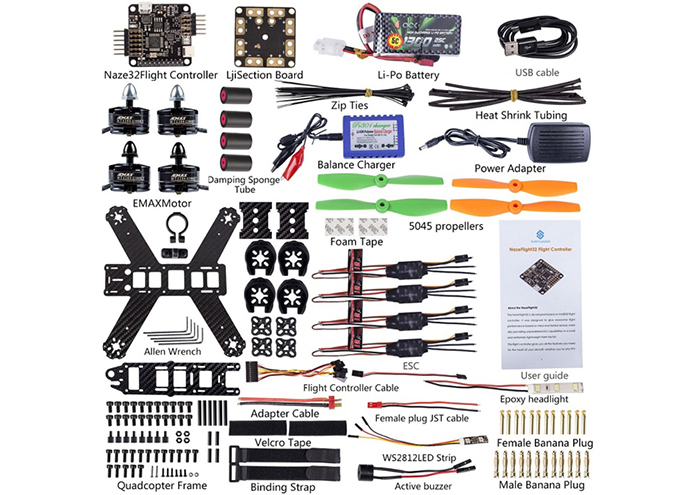 If you’re a beginner and don’t know how to start with the quadcopter, you’re gonna love this manual as it will be of great help in the debugging and thorough instructions on flying the SF210! And it’s even more important than the assembly tutorials. The whole process is quite simple as long as you study it like exploring treasures! In this guide, we will show you the software debugging from scratch including how to install the configuration software, configure the wizard of NazeFlight32, set PID parameters, etc. But! Do remember to follow instructions in this manual in case of parts damage and disassemble the propellers before debugging the software for your safety. A user manual is enough? Don't panic! We are fully prepared for your confusions - a playlist of 7 episodes in total, from unboxing to specific installation guide all the way to finished assembly. In the first assembly episode, you will learn how to assemble the frame and solder the banana female bullet onto the ESC. As shown below, the frame kit includes the frame, motor cover, camera fixing mount, single-pass Nylon standoffs with nuts, etc. It is made of carbon fiber. When soldering, please remember to cover the pads sufficiently and ensure the smoke can be discharged in time. From tutorial 3 to 6, you will learn how to assemble the JST cable and headlight onto the section board, install the motor, etc. And in the last episode, you will know how to assemble the upper board, propellers (all suitable for the MT 2204 motor), battery, damping sponge tubes, the receiver and the buzzer alarm. The buzzer alarm here is for low voltage alarming and lost model alerting. Finally, you will get a cool quadcopter like the following one! With the entire process done, you can now enjoy the fun of flying! The SF210 will give you amazing experience and more magic moments to be seen! Since some parts of the quadcopter may be comparatively fragile. Please do not try any operations that may harm the components. Also, when you fly the quadcopter for the first time, please go to an open environment and avoid crashing into hard objects in case of quadcopter especially propeller damages. We provide free technical support and welcome to leave your suggestions or questions below or post on our FORUM!